Feeling fed up with the 9 to 5 grind? Thinking of a change of career or just need a break? Why not become a professional diver on the beautiful tropical island of Koh Tao! We pride ourselves on our small, family-feel environment and are certain to provide you with all of the attention and training you would expect, plus more! Located in the heart of Sairee, we are in the hot spot for diving and socialising with the team, customers and friends you have not met yet. Mojo Pro is a team of experienced Instructors fronted by SSI Instructor Certifier Ami Bignell. Ami has over 6 years of teaching experience within the industry across Thailand and the Philippines and she will be your dedicated Mentor throughout your training experience. 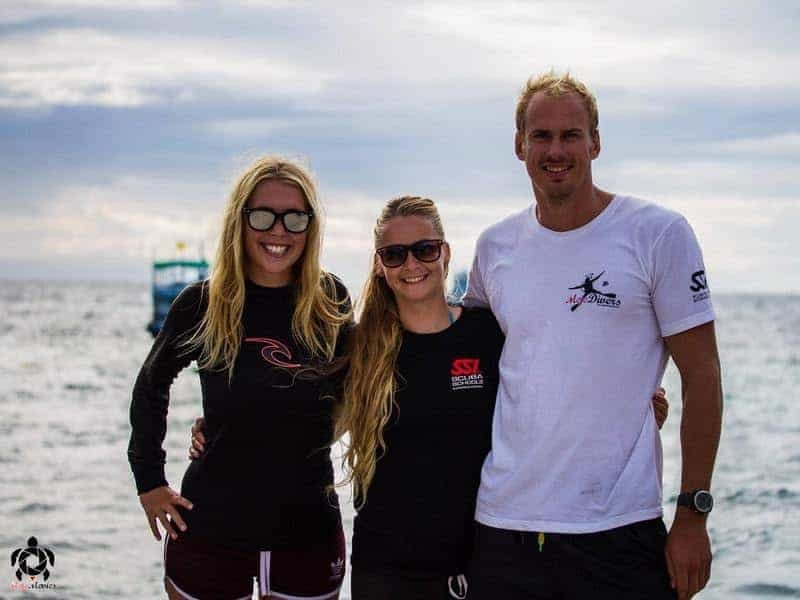 Ami started her professional instructing career back in 2012 and gained her experience, knowledge and passion for teaching Scuba Diving right here in Koh Tao. She quickly decided that this little gem in South-Eat Asia would be her home. In 2015, Ami achieved her SSI Instructor Trainer certification as one of the youngest in the world and progressed on to become an Instructor Certifier in 2017. With her and the team’s experience and knowledge, you will be sure to not only take away great memories and friendships but also a high quality skill set and level of professionalism that can take you anywhere in the world. The first step in the SSI Professional Diver Career Path is the Dive Guide program. This is a self-paced course, but we do recommend a period of at least 6-8 weeks so that you can gain the most from the experience. Within this course there are several practical sessions that include, learning how to navigate and map local dive sites, as well as, learning how to demonstrate basic diving skills and assisting Divemasters and Instructors with their everyday duties. By combining the Dive Guide program with SSI’s Science of Diving Specialty, you will become an SSI Divemaster, the next milestone in the career pathway. The next step would be advancing on to become an SSI Assistant Instructor, where you will learn how to conduct both pool/confined and classroom sessions for the Open Water Diver course. The most popular way to complete this course is by combining it with the SSI Instructor Training Course, to become an Open Water Instructor. This is a 14-day intensive course where you will learn how to present in the classroom, pool/confined water and the open water. If you are already a dive professional with another training agency, we also offer 2-3 day SSI Crossover courses.